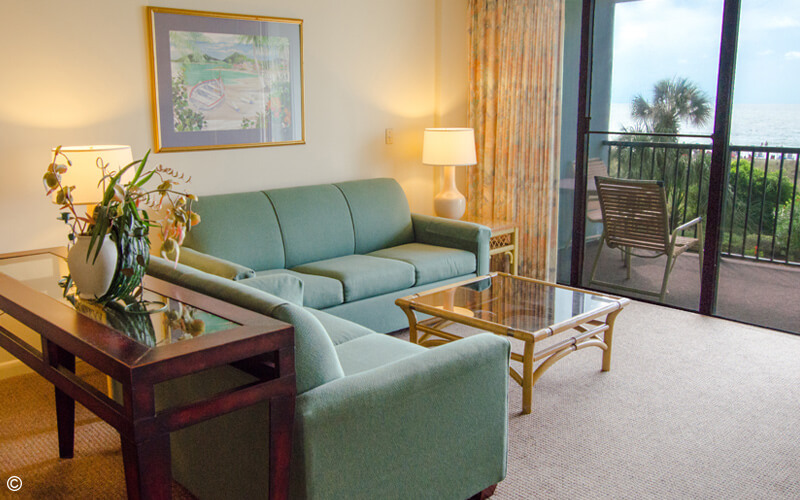 The Carolina Dunes Oceanfront One Bedroom One Bath condo sleeps up to five people with two queens and a sleeper sofa to choose from. 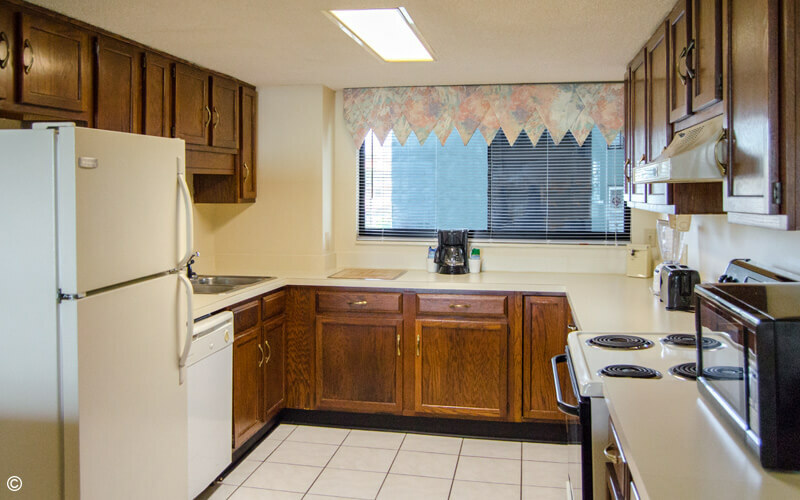 Make the most of your vacation and budget with the full kitchen and in room washer and dryer. 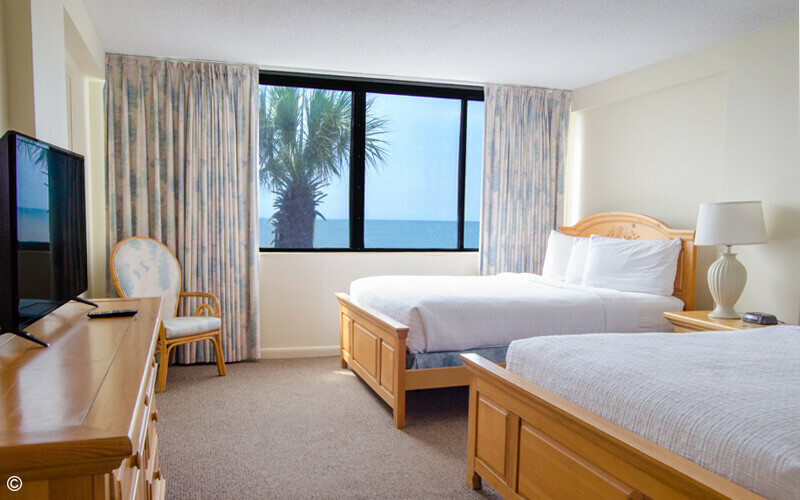 Kick back and relax at night after the beach and catch your favorite shows on one of two televisions. *All units are individually owned. Décor may vary from unit to unit.